The following are reasons why Kauffman Racing Equipment is your leader in Pontiac Engine Performance. We not only crow about the work, effort, expense, detication and parts we put into this hobby. But we show you why we continue to be the BEST ! No talking about it or false ad's to claim we are, just plain Proof from performance. We've said it in the past and we will continue to say it. We are your leader and we plan to stay in the number one spot. 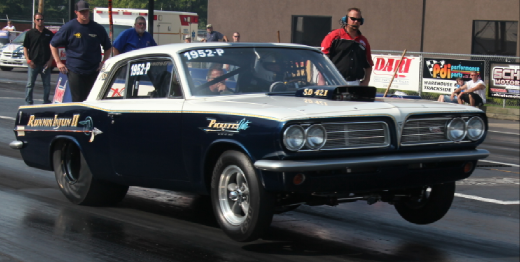 Here is Jim Picketts 1963 Tempest. This car is literally a work of art. Built to run heads up Pro Nostaliga racing and that's what it does and with Jimmy behind the wheel it's a killer combo. The Pickett family has been more then customers over the years, they are more like family. They have given us goals over the last 15 years of racing and we've hit every one with our combo's. This of course is one of them. Built from another K&M Performance MR-1 block this High Port headed combo at 430 cid makes over 2 horsepower per cid. And let me add to the fact that this engine is shifted at 9000 rpm's 4 times down the track everytime out. There is no babing this one. Last time out this car blistered Capitol raceway with a 8.38 @ 159.75 in Maryland on Oct. 11, 2009.
on April 25, 2010. Backing the fastest pass up with a 6.89 @ 192.19. 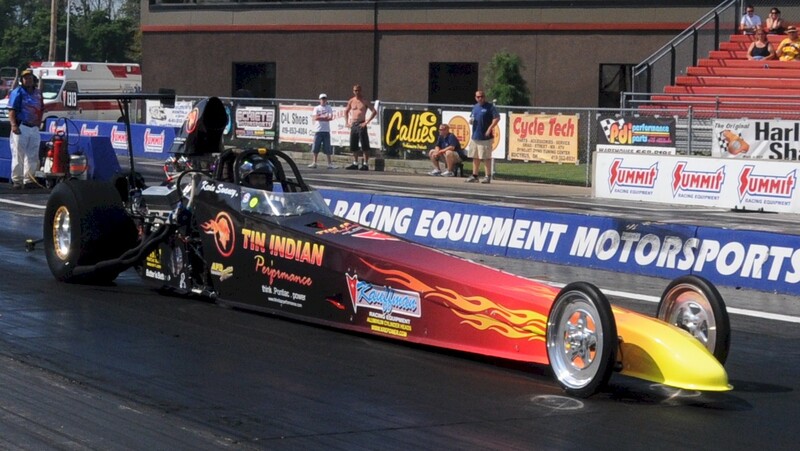 First outing at the 2011 Pontiac Nationals in Norwalk, Ohio we ran a 7.254 @ 189.52 to break the N/A door car record. Backing that up with a 7.247 @ 190.08 later in the day. This car is a fine example of what can be achieved from a well built Kauffman engine. Built from a K&M Performance MR-1A block this 535 cid engine holds a pair of our New Warp 6 Canted Valve heads with a KRE Sheet Metal intake with a pair of dominator carbs. There's more to come, so check back for up dates. Call, E-mail or fax your orders!!! 740 599-5000 740 599-5550 Open Mon. thur Fri. 9 to 5 unless we're racing! !